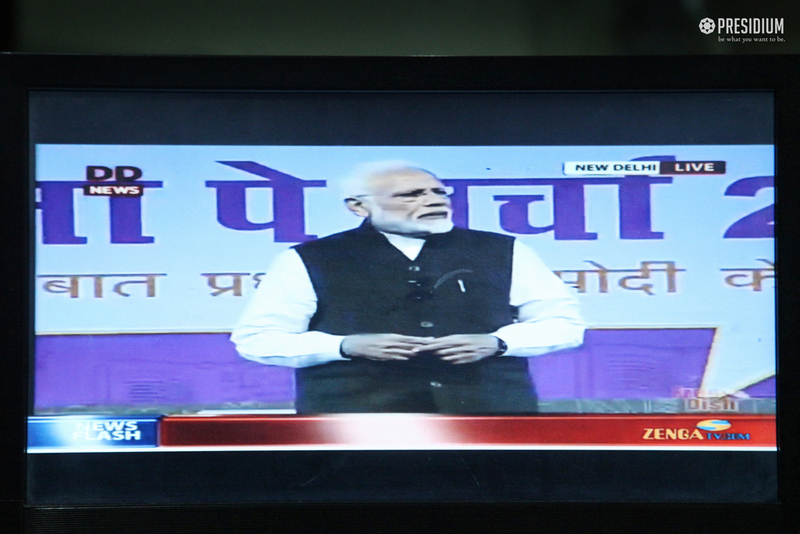 On 29th January 2019 ,the students of Presidium Indirapuram got the golden opportunity to witness the interaction between the Hon’ble Prime Minister Shri Narendra Modi and teachers, parents and students ‘Pariksha Pe Charcha 2.0’. 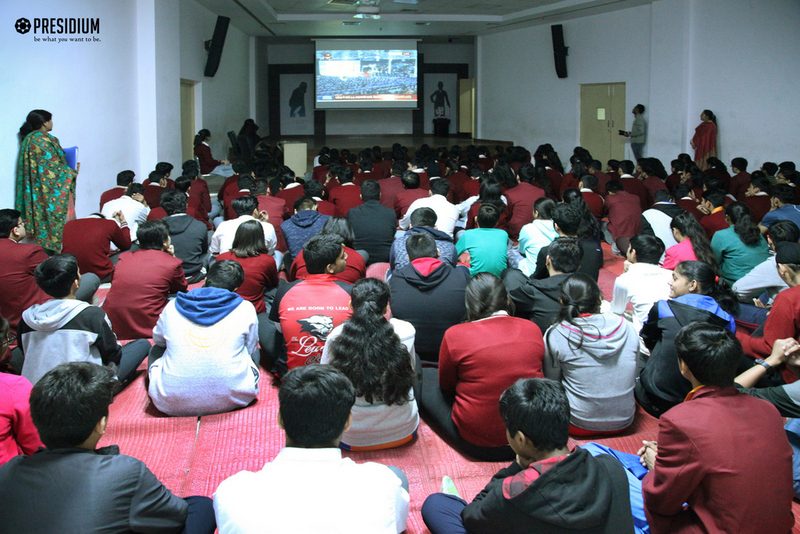 Students from all over India and abroad attended the programme. Hon’ble Prime Minister talked about the issues related to examination stress, parental pressure and time management. He reiterated the importance of dreams and individual uniqueness. He also asked students to compete with their own selves and follow their passion. He further laid emphasis on making lucrative use of technology, practising sports and games, these being the key points in the holistic development of children. He advised parents not to levy the burden of their dreams on their children. Responding to a student’s query about goal setting he added that our goals must be difficult to reach but attainable, so that the urge to be persistent stays alive in the heart. Furthermore, he stressed on the need to develop life skills and practically apply the concepts learnt within the classroom to enhance understanding. 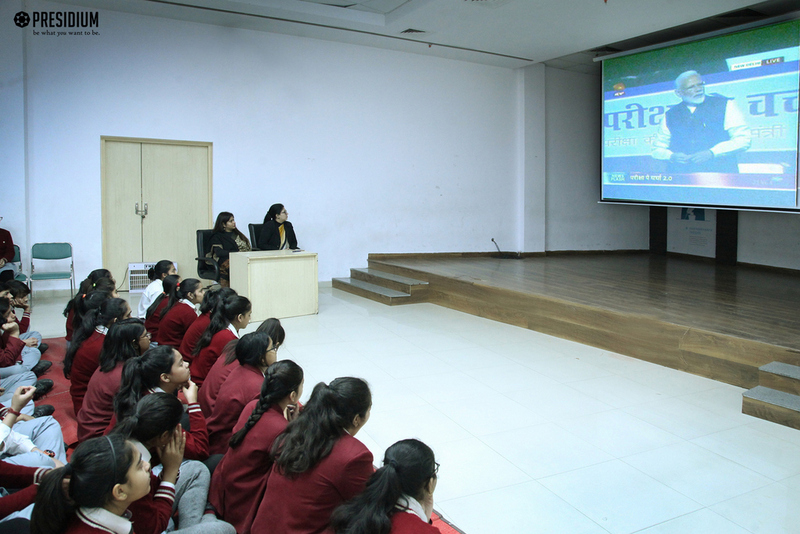 He motivated the students to be curious about their surroundings and develop their reasoning skills. 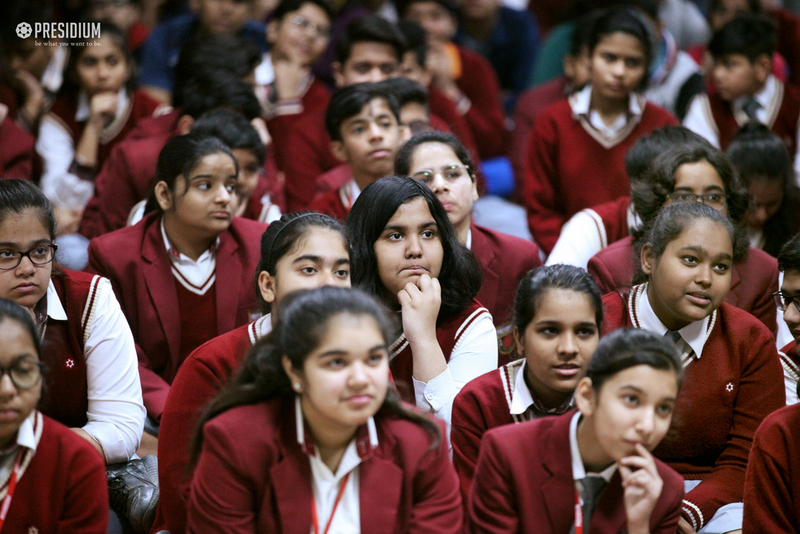 The Hon’ble Prime Minister Shri Narendra Modi suggested the students to be stress free and embark on school life with full zeal. 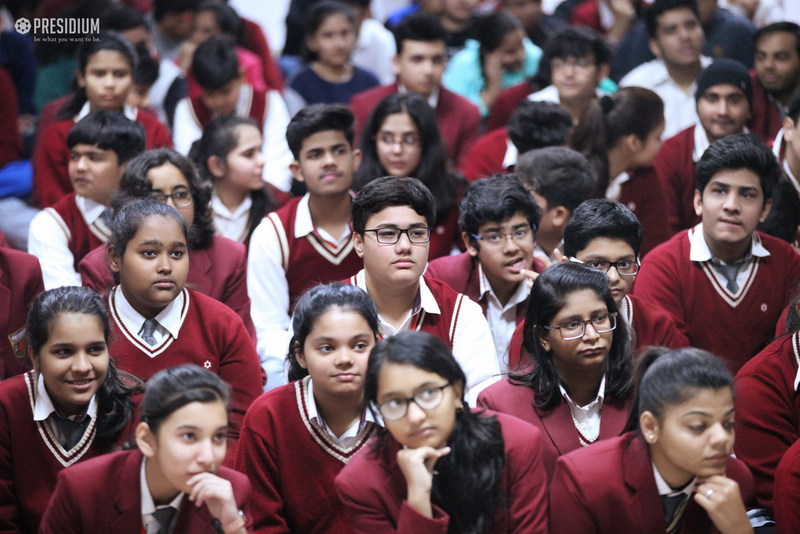 Indeed, Pariksha Pe Charcha was an extremely interactive, candid and inspiring session which will help students to prepare well for the forthcoming examinations.